﻿ When To Take A Pregnancy Test? Q: When to take a pregnancy test? A: To have 90% accuracy on the result of your pregnancy test, you should take it anywhere between 13 to 15 days after your ovulation. That means if you are on a 28-day cycle with a 14-day luteal period, you should perform your pregnancy test between one day before your next expected period and one day after your missed period. If you use a very sensitive pregnancy test such as the First Response Early Result pregnancy test, you can take it 11 days after your ovulation and expect 90% accuracy. When an embryo implants on the uterus, it produces a hormone called human chorionic gonadotropin (hCG). Most pregnancy tests work by detecting the presence of hCG in the urine. When you are trying to get pregnant (or when you want to make sure you are not pregnant), it is natural to want to take the pregnancy test as early as possible. However, if you take the pregnancy test too early, the result may be incorrect because the hCG level may not have risen to a detectable level yet. So, you'll want to take the test when you know with pretty good confidence that the result will be accurate. What day you want to take the pregnancy test and be at least 90% certain that the result is accurate is dependent on the sensitivity of the pregnancy test. Most pregnancy tests have a sensitivity level of 50 mIU/ml or lower, so the table above only lists hCG sensitivity up to 50 mIU/ml. If your cycle length is not 28 days, you'll need to adjust the numbers. For example, if you have a 30-day cycle, you'll want to move up by two days. That means if you use a pregnancy test with hCG sensitivity of < 9 mIU/ml, you can be 90% confident that the result is accurate if you use it 5 days before your next period. For pregnancy tests, most sensitive means that the test can detect the lowest amount of hCG in the urine. Cole et al2 tested seven popular pregnancy tests, and reported that First Response Early Result Pregnancy Test had the best sensitivity at 6.3 mIU/ml. No other report or research study has shown that another pregnancy test can detect hCG at a lower level. 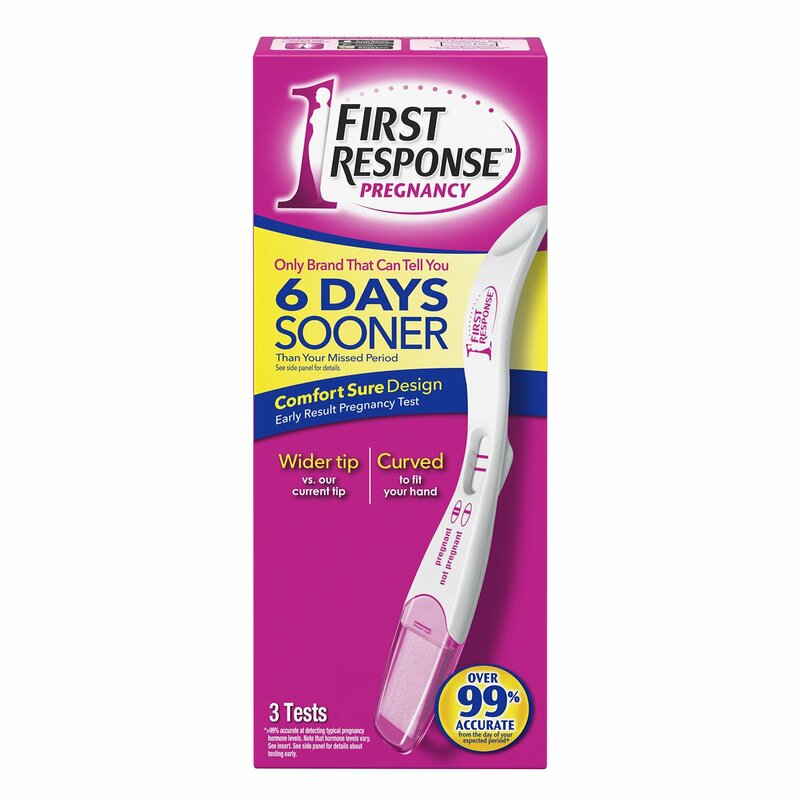 Therefore, the most sensitive pregnancy test available on the market now is First Response Early Result Pregnancy Test. When is the best time of day to do a pregnancy test? The best time is early in the morning, and you should use the first urine you release right after you get up. This is because the hCG level will be most concentrated at that time compared to the rest of the day. Also, regardless of the time of day, avoid drinking a lot of water prior to doing a pregnancy test, because the extra water will likely dilute the concentration of hCG and lead to an inaccurate result. This depends on when you take the pregnancy test and the sensitivity of the test you choose. If you use a pregnancy test with a sensitivity level of 40-45 mIU/ml and take it on the day your period is supposed to come, you can expect the test result to be 90% accurate. If you take the pregnancy test a week after your missed period, the accuracy will be better than 99% regardless of the type of pregnancy test you choose. Pregnancy did happen at the time of the test, but an early miscarriage occurred. This is called a chemical pregnancy. If you are taking medication that contains hCG, it may cause a false positive result. There are tumors in the body producing hCG. The pregnancy test may have expired or is used incorrectly. The urine sample was contaminated. Impurities in the urine sample such as blood and soap may cause the test to return inaccurate results. If you had a recent miscarriage, the hCG that was already in your system can stay for several weeks. The test was taken too early, before the amount of hCG increased to detectable levels. You read the test result before the time specified in the instruction or after the time specified in the instruction. You drank too much water before taking the test, which resulted in a lowered hCG level in the urine sample. C. Gnoth, S. Johnson, Strips of hope: Accuracy of home pregnancy tests and new developments, Geburstshilfe Frauenheilkd, 74(7): 661-9 (2014). L. A. Cole, J. M. Sutton-Riley, S. A. Khanlian, M. Borkovskaya, B. 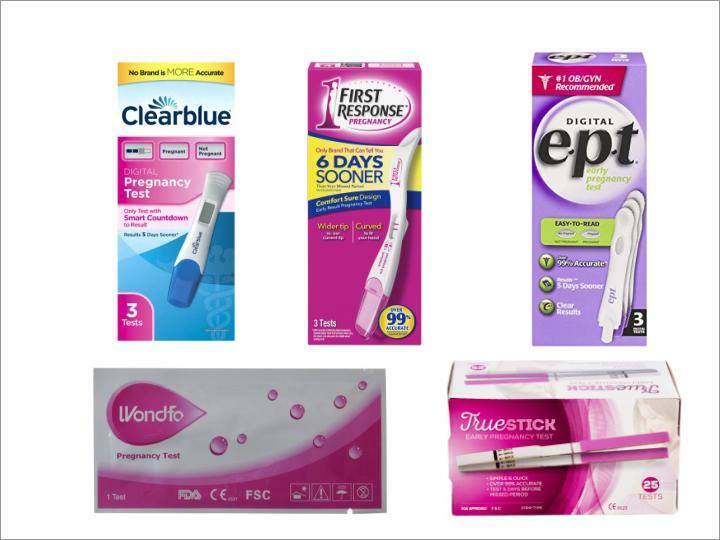 B. Rayburn, W. F. Rayburn, Sensitivity of over-the-counter pregnancy tests: comparison of utility and marketing messages, J Am Pharm Assoc, 45(5): 608-15 (2005).